On 15 February 2003, over 15 million people marched through the streets of 800 cities around the world to try to avert the war in Iraq. Director Amir Amirani’s fearless, thought-provoking documentary reveals the remarkable inside story behind the biggest protest in history, and chronicles its surprising social and political legacy. The events leading to this unprecedented global demonstration are compellingly recounted in captivating interviews with the organisers, activists and direct participants. High profile figures in political pro-war circles and the anti-war community give an account of the road to war. 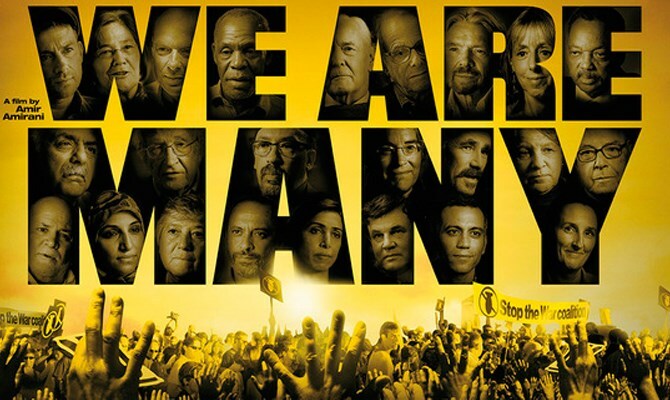 The star-studded list of contributors includes Danny Glover, Richard Branson, Mark Rylance, Ken Loach, and Prof. Noam Chomsky. Filmed in seven countries and featuring previously unseen footage, this fascinating film charts the rise of the people power movements sweeping the world, all through the prism of one extraordinary day.